Let me clarify that our games will be reviewed meticulously and that only the top ten will be selected for voting. Moreover, I know that annotating a game properly, and at the BEST level, can take quite some time. That’s why we’ve decided to extend the latest date for submitting your games until 28 April. So hurry up and get a chance to win amazing prizes! Additionally, please tell us about how you’re preparing your games. Did you beat any strong players ortitled players? Feel free to comment below and tell us how you’re preparing for the festival. Important as it is to have very well-developed positional understanding and excellent strategic skills in chess, every player must have sharp tactical skills as well. After all, tactics and strategy are the main weapons that one uses to win a game. A lot of chess players seem to be aware of the tactical motives (like pin and knight fork). Still, they have a hard time applying that knowledge to their own games. Therefore, I thought today that we could have a keen and closer look at the tactics. Let’s get started! White played the opening superficially, allowing Black’s knight to dominate in the centre. He lost the sense of danger and his last move, 11.Nb3? – aiming to play via the-c5 square – was just a waste of time. Black reacted energetically and quickly punished White’s poor opening play. 11…g5! – decisively undermining White’s centre! It is a well-known idea which sometimes Black implements in the French Defence or Closed Sicilian. 13…Nxe5!! An excellent intuitive sacrifice that completely demolishes White’s centre. Even the direct forcing line is not visible and this is not a difficult decision. Black gets two pawns for a piece and a straightforward powerful attack against his opponent’s king. The time is ripe for the execution. 19.Rg1 Bxe3 20.Nf3 [20.Rxg4 Bf4+ 21.Kd1 Rxg4–+] 20…Qb5 21.Rxg4 Rxg4 22.Kxe3 Qxa4 White has a huge material advantage, but the exposed position of his king prevents him from creating any serious counter-play. Black has an exchange, but White has some compensation. Black in this position has an interestingmove. What did Caruana play? 34…g4! This is the start of a very interesting combination. Black will obtain two rooks and a bishop for a queen, which is enough to win. 35.Bxg4 All these moves are forced. 35…f5 36.Bxf5 exf5 White has already given up a piece, so what is his idea? 37.Nf6+! 39…Rb2+ 40.Kg1 Rxf6 41.Qe8+ Rf8 42.Qd7 Rb5 43.Kf2 We can see that Black’s pieces are coordinated and that White does not have any threats. Black is winning. 46…Rxf3+ 47.Ke2 Rb2+ 48.Ke1 Rc3 Black is threatening checkmate. White resigns. 0–1. Now, let me provide you with some practical exercises based on the above examples, which you can evaluate yourself. Recently, I made the announcement that we’ll be conducting our next game festival in the following days. As promised, I’m very happy to announce that the RCA game festival starts today! What is a Game Festival? 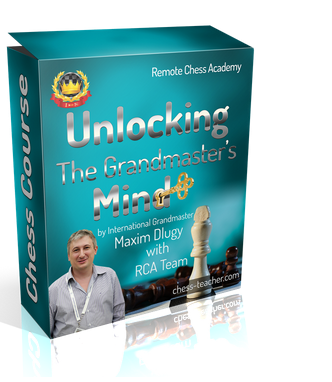 Remote Chess Academy will be conducting a unique competition, where your skills in annotating your own game(s), and the ‘quality’ of your games played, will be judged. Have you ever played a mind-blowing chess game that you will remember forever? Then annotate that game yourself and send it to us – if we think that your game and your annotations are good, you’ll win awesome prizes! The game can be an over-the-board (OTB) game or one that you played on the Internet. Let me ask you a question – how can you play better in the middlegame andendgame? Maybe you can develop your middlegame skills by having good knowledge of tactical and strategic ideas and by having a good planning and thinking system. “In order to improve your game, you must study the endgame before everything else”. Moreover, as I used to say – what matters is the QUALITY of your learning and not the QUANTITY. Therefore, you just have to learn the key ideas or, in other words, the essentials of middlegame and endgame play. To discuss this, we have a new member of the RCA team. I am happy to announce that we have one more Grandmaster in our team of webinar presenters– our new guest coach GM Levan Aroshidze. Additionally, he will be making his debut for RCA next Saturday. 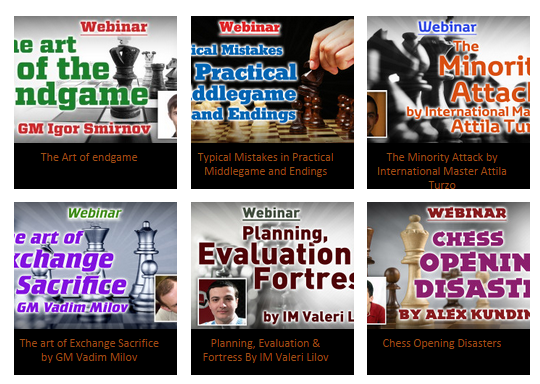 GM Levan Aroshidze will host the webinar “Endgame and Middlegame Essentials” onSaturday 18 April at 3 p.m. GMT (check timings here: LINK). P.S. I’ll be announcing more info. about the game contest very soon. There is also something interesting! Therefore, stay tuned and get our updates. Firstly, I’d like to introduce our NEW site (LINK) to you. Although you might have known about our new site by seeing the pop-up below, or from our Social Media pages (for instance, Facebook page: LINK), still, I want to share with you some of the benefits and improvements on our new site. Indeed, our team members have put all their efforts into making this huge achievement possible, thereby making the site easy and essential for YOU! So, how you can check our new site? You just have to click on the “Tell us what you think” button in the pop-up and submit your feedback! It will take no more than 2 minutes for you to do this – it is as simple as that. Alternatively, you can contact us (LINK) to tell us what you think about the new website or just leave a comment below. Moreover, we’ll permanently switch to the new website very soon. And I’m sure that you will be benefited, as you can already see the improvements made in the new site, listed above! Secondly, I’ve some good news for you – I’ve added a special offer for those who buy my webinars. Now you can get all my webinars, saving $11! 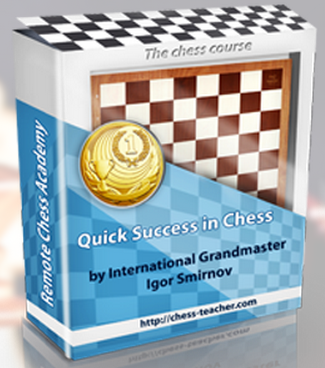 Get the “GM Smirnov Bundle”, which is now added to our shop, and watch all my webinars – this is a great opportunity for you if you have missed them. Additionally, we’ll soon conduct a Game Festival and it will be somewhat similar to the one we conducted previously. I’ll announce more details in the upcoming days. Therefore, as usual, just stay tuned and catch our updates.